Amy Cymerman of Grand Valley State, Emily Oren of Hillsdale, and the Central Missouri duo of Erika Kinsey and Brittany Kallenberger have been named the female Scholar Athletes of the Year in NCAA Division II for the 2014-15 track & field season by the U.S. Track & Field and Cross Country Coaches Association (USTFCCCA). PLUS: 450 women earned All-Academic honors. 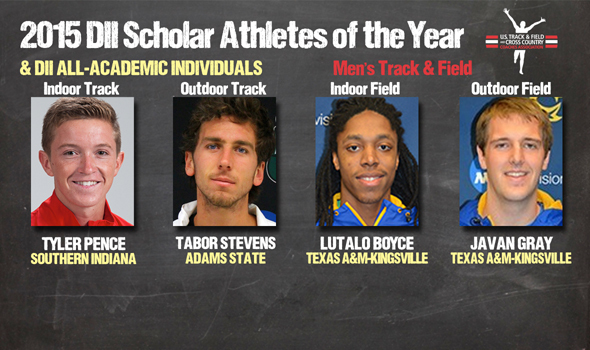 Tyler Pence of Southern Indiana, Tabor Stevens of Adams State, and the Texas A&M-Kingsville duo of Lutalo Boyce & Javan Gray have been named the men’s Scholar Athletes of the Year in NCAA Division II for the 2014-15 track & field season by the U.S. Track & Field and Cross Country Coaches Association (USTFCCCA). PLUS: 239 men earned All-Academic honors. 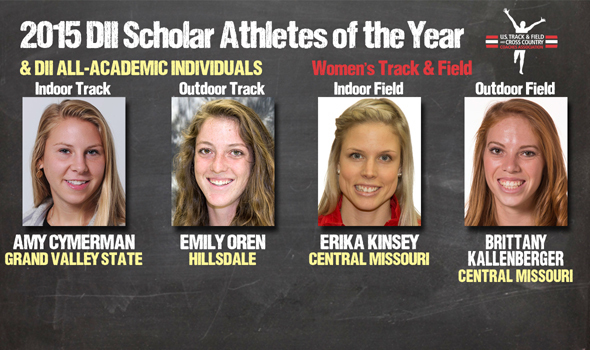 Not only did the Central Missouri women sweep the NCAA team titles both indoors and outdoors, the Jennies also earned Scholar Team of the Year for both seasons. 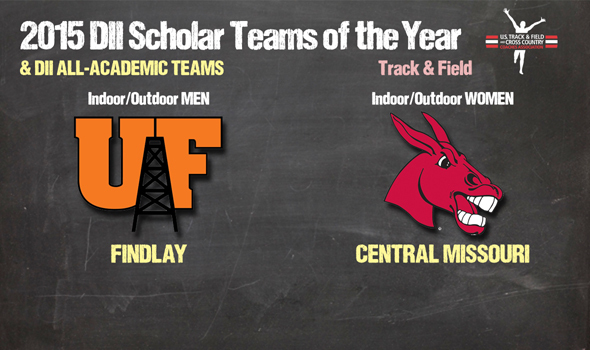 The Findlay men also delivered a sweep of the Scholar Team awards with a pair of runner-up national team finishes. 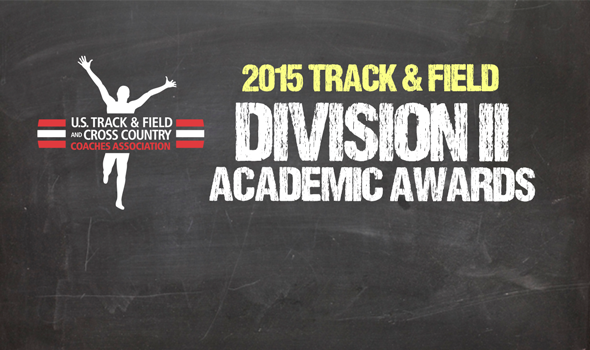 PLUS: 115 women’s teams and 62 men’s squads earned All-Academic Team honors.